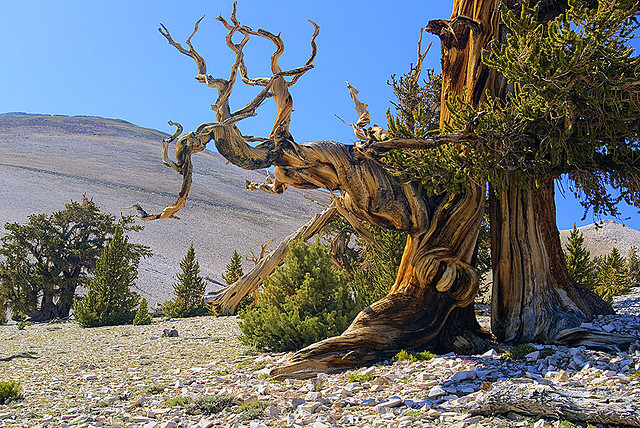 Bristlecone pine; elegant in death (at Bristlecone Pine National Park); photo by Andrew Ward on Flickr (use permitted with attribution). 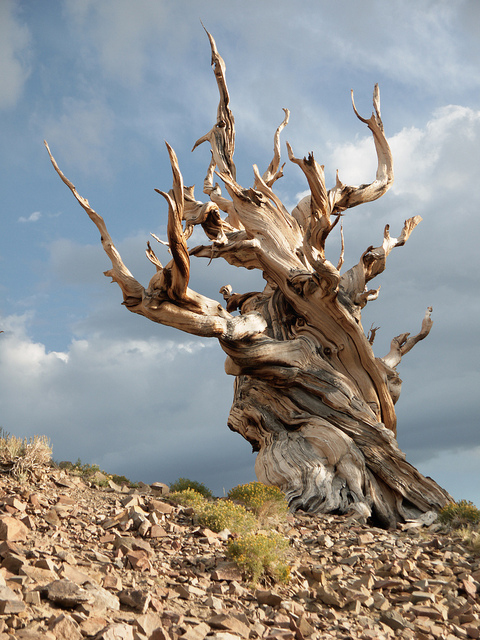 From Nevada Legislature: "The bristlecone pine (Pinus longaeva) is the oldest living thing on Earth, with some specimens in Nevada more than 4,000 years old. The tree can be found at high elevations. Normal height for older trees is about 15 to 30 feet, although some have attained a height of 60 feet. Diameter growth continues throughout the long life of the tree, resulting in massive trunks with a few contorted limbs." 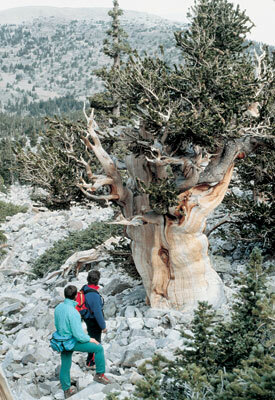 Bristlecone pine tree; photo by Nevada Commission on Tourism (all rights reserved; used by permission of Nevada Magazine). Gnarled trunk of bristlecone pine; photo by ah zut on Flickr (noncommercial use permitted with attribution / no derivative works).